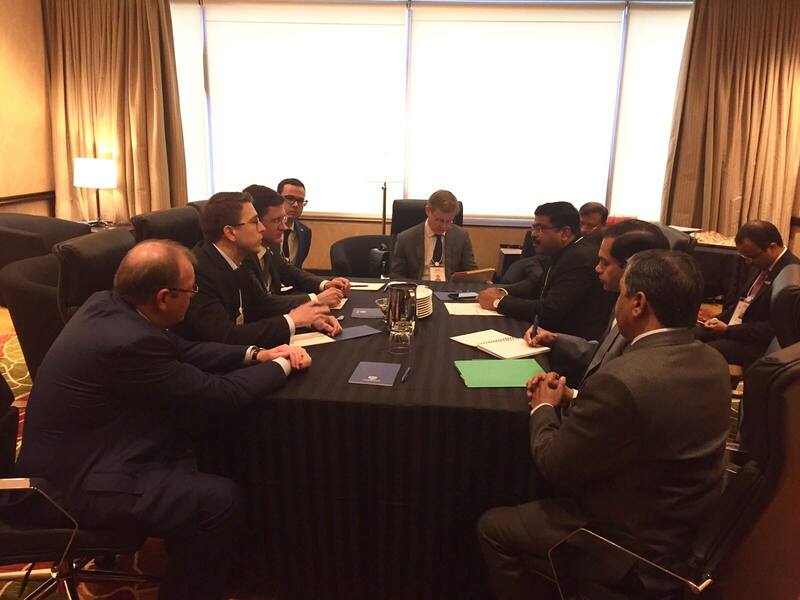 The ministers discuss LNG supplies and development of Arctic deposits. Russia’s Minister of Energy Alexander Novak held a meeting with Indian Minister of State for Petroleum and Natural Gas Dharmendra Pradhan on Mar. 7 on the sidelines of the CERAWeek energy forum in Houston. The ministers discussed prospects for further cooperation, including the development of hydrocarbons on the Russian Arctic shelf and the supply of liquefied natural gas (LNG) from Russia to India, the Russian Ministry of Energy reported on its website on Mar. 8. Russia-India cooperation in the supply of LNG is acquiring a strategic character due to the growing demand for natural gas in India, Novak said. CERAWeek is the premier annual gathering of senior energy executives, innovators, and officials offering dialogue and insight into the future of the energy industry. This year, the conference was held on Mar. 6-10.